Craft: All the stones are inlaid under a microscope by a master. A nice pendant for your Handbag, wallet, purse,crossbody bag, daypack. A creative accessory for your car. A great keychain you can find it quickly when you were looking for your key. 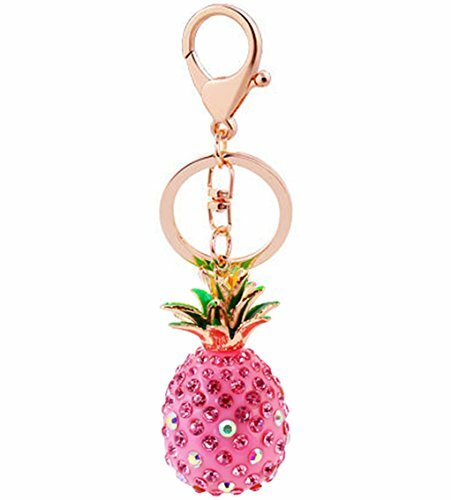 Package include:1 x Cute Pineapple Keychain with a gift packing bag.